Among those with responsibility for managing an organization’s accounts receivable or collections activities, there is likely some familiarity with available invoice financing solutions such as supply chain financing, factoring or dynamic discounting. The notion of getting an outstanding invoice paid early in exchange for a small percentage has grown in acceptance in the last several years. 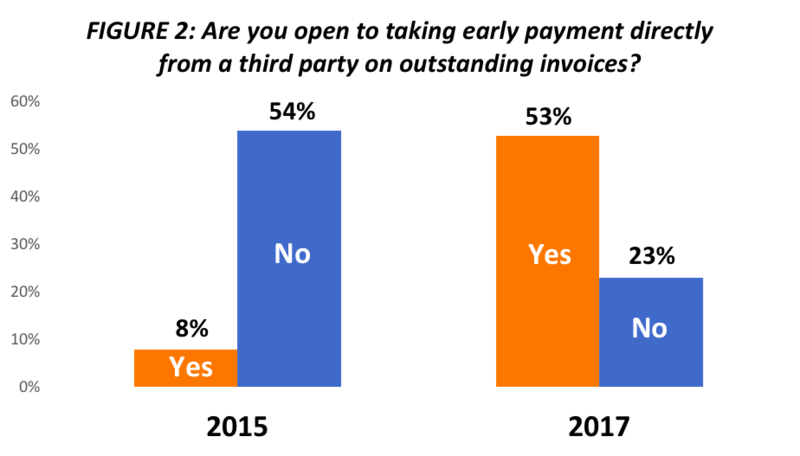 The findings from our 2017 Perceptions Study suggest that this is indeed the case, as 48% of respondents were open to accepting early payment of their invoices in exchange for a small percentage while 40% said they were not open (12% were not sure). While this may not be surprising, a more revealing sentiment regarding the change in appetite for invoice financing can be found by digging a little deeper in relation to how that financing might be provided. 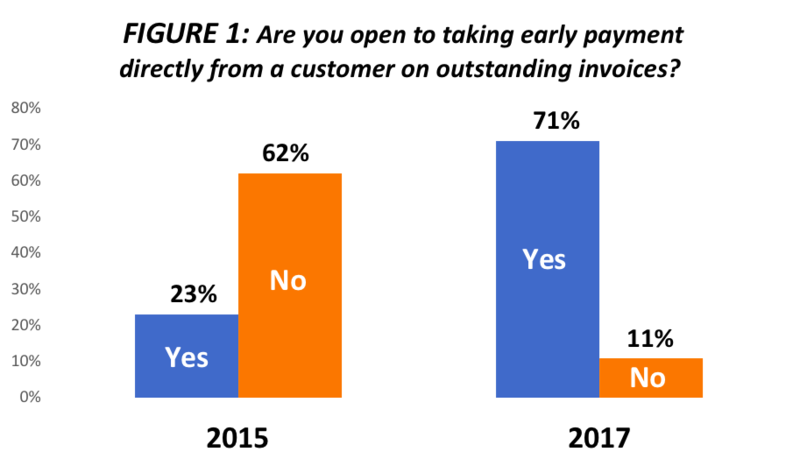 In two separate studies (2015 and 2017), we asked respondents if they were open to early payment provided directly by their customer as well as whether they were open to early payment provided by a third-party – without customer involvement. By asking the question this way, most respondents were opposed to taking early payment in 2015 – regardless of how it was provided, while most were open to the idea in 2017. In 2015, only 23% of respondents indicated they were open to taking early payment provided by a customer while 62% said there were opposed. Compare those numbers to the results from our 2017 study, where 71% were now open to taking early payment this way while only 11% were opposed to it. 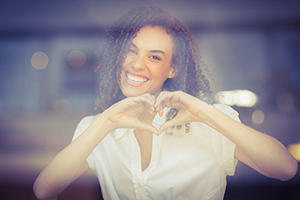 The change in sentiment regarding early payment from a third-party provider mirrors, to some degree, the sentiment of receiving early payment directly from customers. In 2015, only 8% of respondents indicated they were open to accepting early payment from a third-party provider while 54% indicated they were not open to the idea. Two years later, those number have almost completely flipped, with 53% saying they were now open to accepting early payment from a third party and 23% indicating they were opposed to the idea. Why the change in interest? As opposition to early invoice payment diminishes – especially if offered directly from customers – it’s worth discussing what might be behind this shift. We believe there are three core issues driving this change. The great recession from almost 10 years ago has impacted businesses a number of ways. Depending on who you talk to, there was never a full economic recovery – at least the kind we’ve become accustomed to – after the recession. There were lingering challenges in terms of real economic growth, employment and availability of business financing that appeared to slow any progress. During the height of the recession, supplier organizations saw customer orders shrink, revenue drop and receivables placed at risk. Once the worst of the recession was over, suppliers saw that some customers were still going out of business, even in the midst of a perceived recovery. With the new normal being receivables in perpetual risk, more suppliers began to consider alternative methods of financing, especially if traditional financing was hard to come by. Factoring and supply chain financing were options more suppliers had at their disposal and, in the case of supply chain financing, customers were more than willing to participate. In the wake of the recession, once customers were able to regain their financial footing, one holdover for customers was the practice of extending payment terms to their supply chain. Although the recession had been deemed “over” (again, depending on who you talk to), the new normal for customers was the opportunity to make longer payment terms permanent. If 30-day terms were standard before the recession, 45, 60 and even 90 days were now commonplace. This is simply driven by the fact that customers want to either hold onto their cash longer (enabled by partnering with a supply chain financing or dynamic discounting solution provider) or pay less on approved invoices (generating additional cash at the end of the year from accumulated discounts). Either way, the customer can improve their bottom line simply by leveraging an early payment option the supplier might be open to. With more customers interested in offering invoice financing due to the revenue it generates, coupled with more startups coming on board with newer technology, supplier organizations are being inundated with opportunities to take early payment now in order to increase cash flow and improve working capital. But, it’s not just new technology and startups getting in on the act. Supply chain financing (which has been around for a while) and factoring (which has been around just as long or longer) are getting second looks. The notion of taking early payment is no longer seen solely as a desperate measure by a desperate supplier but more as a strategic option for operating the organization at peak efficiency. What does this mean for supplier organizations that have a critical eye on the bottom line in light of all of the early payment solutions available to them? Each company must make decisions about sales, customers and outstanding receivables in ways that make sense to their organization. With that said, companies can leverage invoice financing strategically to address specific issues in their cash flow. Such strategies should be viewed as complimentary to sound credit management, invoicing and collections practices, not as a primary means to fund the business. In other words, should invoice financing be used for every invoice in every instance? Probably not. But, if leveraged in a way that maximizes cash flow at select times, early payment on outstanding invoices can be a savvy option. No wonder more organizations are open to it.